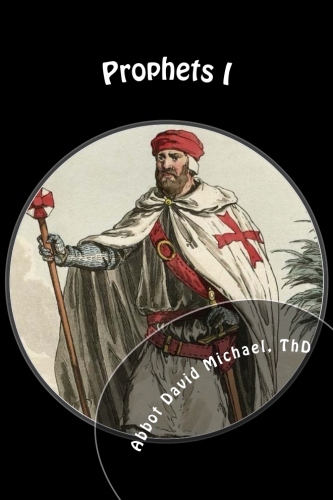 A Templar brotherhood focused on finding and publishing information that will liberate the body, soul and spirit of mankind! Newest Prophets Book Just Out! Some call us an Outlaw group but we are not. We do follow the laws of YHWH and not the laws of Men. Our gathering and brotherhood began in 1968 within the Jesus Freak communes with an emphasis on prophecy and miracles. Today, we are 2nd and 3rd generation bikers as the sons of the prophets. In 1986, we were recognized within a Syro-Chaldean rite church under the oversight of Pope John Paul II as a Personal Prelature as a Templar order called the Order of the Gate of the Temple of Jerusalem. Included in this volume are 69 dreams, visions and prophecies about how to survive what is coming upon America in these end times. Soon, economic collapse, starvation, epidemics, natural disasters and war will hit America. This is a must read book for Peppers, Christians and anyone who wants to survive the judgment that is coming on America. This is the second book in the Prophets Series that further reveals 59 more dreams, visions and prophecies given to the Templar Prophets for surviving global collapse in America. Mobility and brotherhood is key to God's plan for the true church. Getting off the gold, oil and money standards are mandatory with easily mobile food farms as the only viable survival and barter item. The notion of defending your homestead against marauders and NWO/UN military forces is suicidal. Get the real survival solution as revealed by YHWH for his faithful people before it is too late and death consumes you and your loved ones. This is a must read for Preppers, Christians and anyone who wants to survive the soon coming collapse of America. This is the third book in the Prophets Series that further reveals many more dreams, visions and prophecies given to the Templar Prophets for surviving global collapse while living in America. Much effort is to try to being true believers in YHWH and his Son Y'Shua back to the faith experienced in Jerusalem prior to 50 AD. The first 20 years of the Church is really the only true church with most churches being founded after this date were greatly influenced by Hellenism which later became the Roman and Orthodox churches. Read about the faith of the church of Jerusalem prior to the Pauline influence to understand the beliefs of the original Hebrew Christian church that kept the Saturday Sabbath and the Sabbath holy days. This book is a rewrite of four prior books in combined in a single volume. 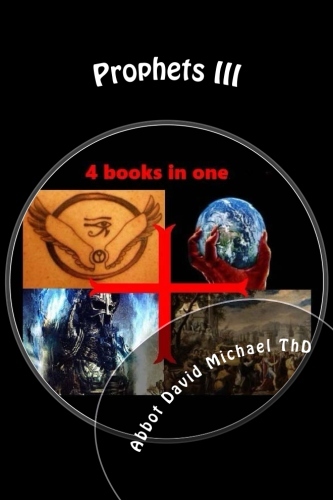 The books rewritten include, Alien Invasion, Draconian NWO, Nephilim Wars and Melchizedek Arises sold as individual copies below. This is the forth book in the Prophets Series that further reveals many more dreams, visions and prophecies given to the Templar Prophets. 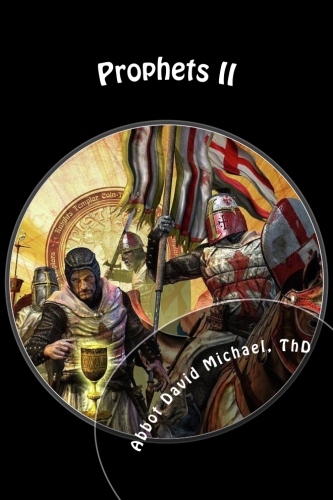 It includes many new articles and the faith and practice of this branch of Templars with a focus on basic theology. You will find that we are not a cult and some suppose whereas some other Templar groups are a cult and even Luciferian. Many of these articles are also drawn from the 4 prior books that have now been withdreawn in a effort to update the relevant information for true believers to be better ready for what is coming upoin the world. We have discovered that we cannot give dates to coming events since God himself does not follow dates but gives revelation as a sequence of events. As one event is completed, the next may begin where the calender year is not very relavant. Many thought 2012 was the crashing year, then 2015 (we thought this), then 2017 and now we are at the end of 2018. So this book in the series will provide the rest of the foundation in faith to answer the world when they come to you and ask, "Why is all this disaster happening?" 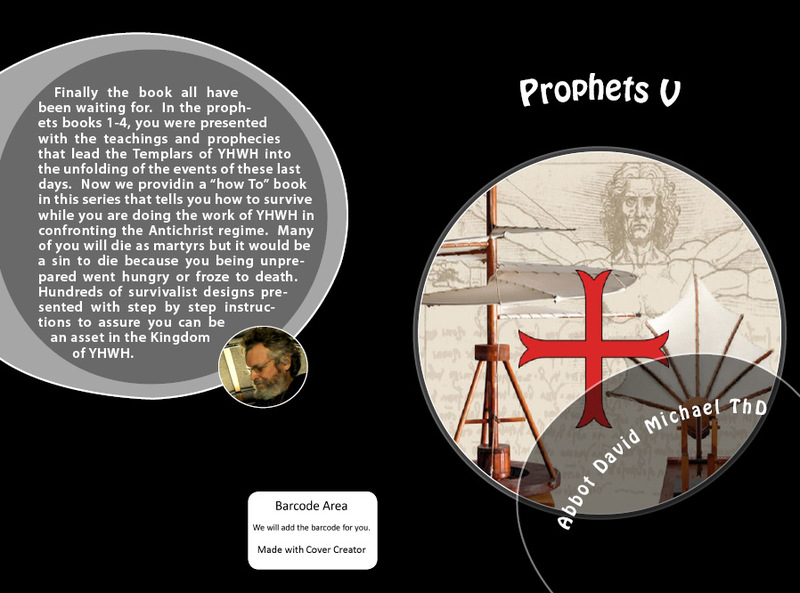 Prophets V is currently being written as a highly illustrated "How To" book on making devices and systems to best survive the coming holocaust in America and in many other parts of the world. It will include many new dreams, visions and prophecies that have been givin since the publishing of the Prophets IV book. Just Updated - 2nd Edition - Expanded by 40 pages. 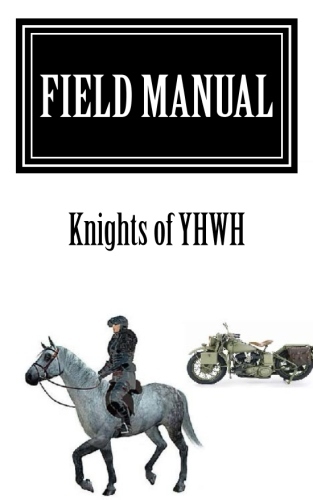 A small easy to carry manual for the field for the warriors of YHWH also called the Knights of YHWH now in the second edition available. This Field Manual is for those who are determined to use the force of arms against the NWO as Constitutionalists, Theists and Revolutionaries in the tradition of the Sons of Liberty. This book clearly explains how to strategically win a military conflict against an extremely superior force with no to few casualties. Included in this book is the proven method for resistance as a loosely organized "Army of Stealth Snipers" as proven effective in resisting the Russian Armies and the US and NATO Armies in the long standing conflicts in Afghanistan. 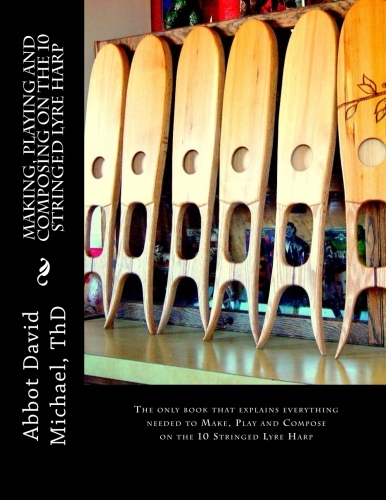 This book was written as the result of years of prayer and research in seeking to discover a way to be effective if one chooses (is called by YHWH) to physically resist with the force of arms. As a priest and a former military endorsed chaplain, Abbot David has asked YHWH for the solution to be able to convey an answer to those seeking God's protection as professional military engaged in just wars. This Field Manual provides the answer on what to do and what not to do to survive the coming military conflict in America. It covers stealth and survival techniques in the wild in adapting a horse for transport to avoid an overt 'human' signature picked up by many recon-electronics that are now used in the field. If you are to take up arms against the coming NWO/UN invasion, this book may save your life and the lives of those you love and seek to protect. 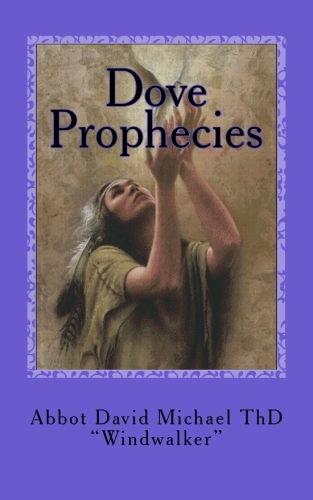 The Dove Prophecies book is a compilation of all the studies and prophecies of Abbot David Michael as relating to the Native American and how they are involved in the saving of the true remnant of the faithful in America. 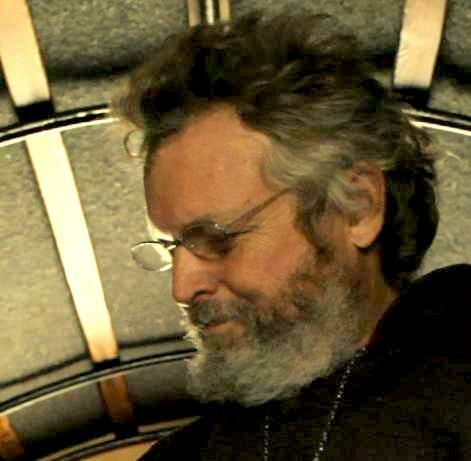 Abbot David has visited with the elders and shamans of this world and also has been visited by the Native Elders who have passed on who are aligned with YHWH or YaHuVeHa in these end times. If you have a mission to the Native American, this is MUST READ as the information revealed in this book cannot be found any place else. This is the plan of YHWH that brings together the Native prophecies of the 7 Fires, the two Blue and Red Kachina prophets who would come before the return of the white brother "Pahana" as the Messiah looked for by Native Americans. It also explains how the woman of the Tribes will become the driving force that brings the tribal people back to the God of the Forefathers (YHWH) and in this, the land may then be healed and protection provided by YHWH against the NWO who seeks the genocide of all Native Americans who do not enslave themselves to their agenda. 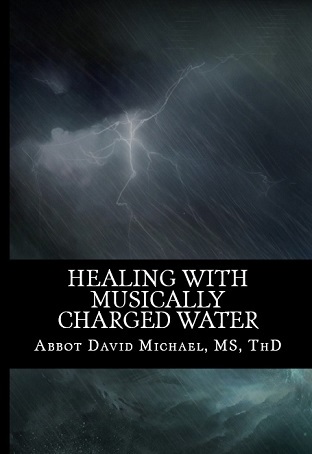 This price of $95 is for a healing kit with included healing manual titled, "Healing with Musically Charged Water" that is packaged with an electronic proprietary device that enables anyone to charge simple water with frequencies in making healing remedies. The book provides an indepth study of the scientific theory behind music frequency healing as dominant language of biological cells. It is believed this East-West science based system may take the place of drugs in duplicating chemical 'drug' frequencies in simple water without the common side effects of many toxic drugs. The electronic device was created in a rare merger of Chinese herbal science with modern medicine where East meets West in Hawaii. The device is small and self powered by battery thus easily portable where a healing practitioner may carry the device in a Doctor' bag along with his or her healing assortment of herbs and conventional drugs. This innovative 'infusion' device is used by first testing the weak frequencies in the body and then placing the needed remedy in line with the sensor. Dosage and substance is then modified until there is a balance in energy from the appropriate meridian pathways. 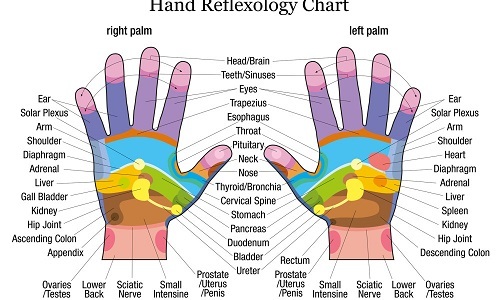 This assures healing applying the right substance and the right dosage. This is truly an innovative device usd by licensed MD's and Herbal doctors alike. The Tabernacle of David is prophesied to return to the true believers in the last days as a testimony in the reuniting of Judah and Ephraim (10 tribes). The Seven Steps as reflected in the 7 pieces of furniture of the Tabernacle are the seven steps for deliverance from demons. The Tabernacle is a reflection of the Temple in Heaven as the Throne of YHWH. 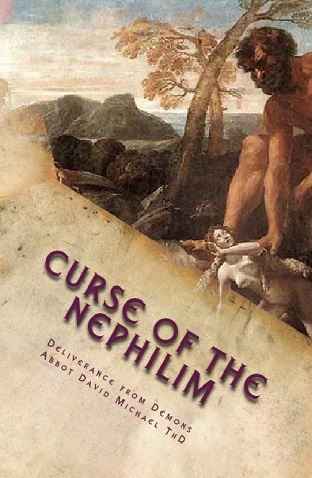 Demons are the disembodied evil spirits of the Nephilim who were spawned from fallen angels and human women. For us, this path has become our weekly fellowship gathering each week as we together walk through the steps of reconciliation and pray for one another to YHWH through Y'Shua. Demons cannot stand this walk of power that causes them to fear and leave the oppressed and even the possessed. In the Tabernacle of David is reflected the 7 parts of the Armor of YHWH which includes the, 1) cloak of holiness, 2) the helmet of Salvation, 3) the breastplate of righteousness, 4) the belt of truth, 5) the shoes of peace, 6) the shield of faith and the 7) sword of the Spirit. on Mt Zion at age of 12.
and faith as my shield. and cared for horse and cow. by the stream and on the mount. yet to college I was sent. then a professor for 20 years sent. to now seek the real Jesus way. banned from the synod of Bishops. Now to exile I have been driven. to the high Rockies I did turn. To a prophet I must return. making harps and knives my trade. a 'windwalker' some they say. In the land of Anasazi fame. to fight with unbending faith. in this prophet and angel place. in the wilderness, a heavenly place. to tell us of His awesome plan. to find your call most dear . will remove all nagging fear. to dwell in sacred grottos of praise. as God meets me there each day. the mountains they call them there. and bring them home to care. freed from Mammon's binding chains. to live and serve his way. to embrace the loving Jesus faith. to the land above the mist. so as to embrace you with a kiss. Glentivar Village Press is seeking to publish original works from authors who seek to expose the rise of the New World Order and provide for the equipping of YHWH warriors who can confront evil in the higher dimensional realms. 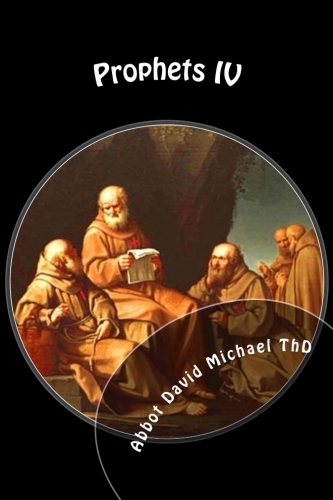 If you are writing such a book, please contact Abbot David at info@glentivar.org. Hebrew Decalogue (10 Commandments) found in Los Lunas, NM. dating to before 1200 AD. More Here. Hebrew-Celtic bishops wore Eastern styled crowns as seen in Anasazi petroglyphs - not Roman mitres. More Here. Evidence of iron smelting dross in Anasazi dumps, saw marks in timber in ancient Anasazi castles and Anasazi method used in building in stone was also used by the early Celts. Click Here. Ogam writing found in various places in the 4-corners area referring to the throne of a Celtic 'King' predating the 12th century. Click Here.